Cabinet provides its customers with the solutions they need to enhance productivity and achieve their manufacturing goals. The product range comprises 7 standard CPUs, 7 compact CPUs, 5 fail-safe CPUs and 3 technology CPUs. 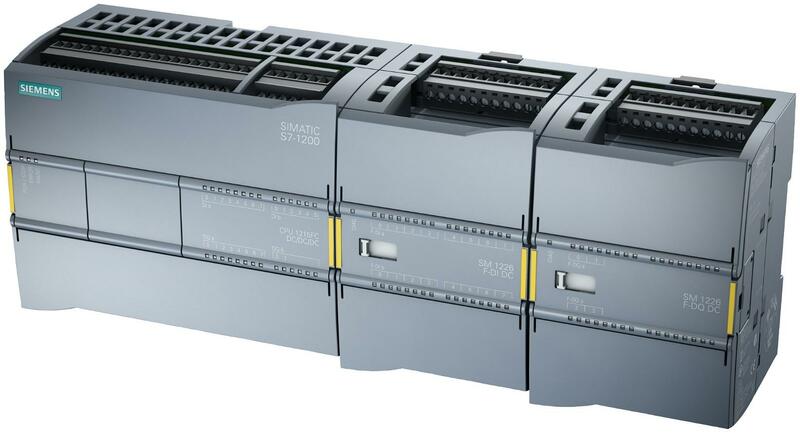 The SIMATIC S7-1200 controller is modular and compact, versatile, a secure investment, and is perfectly suited to a whole range of applications. 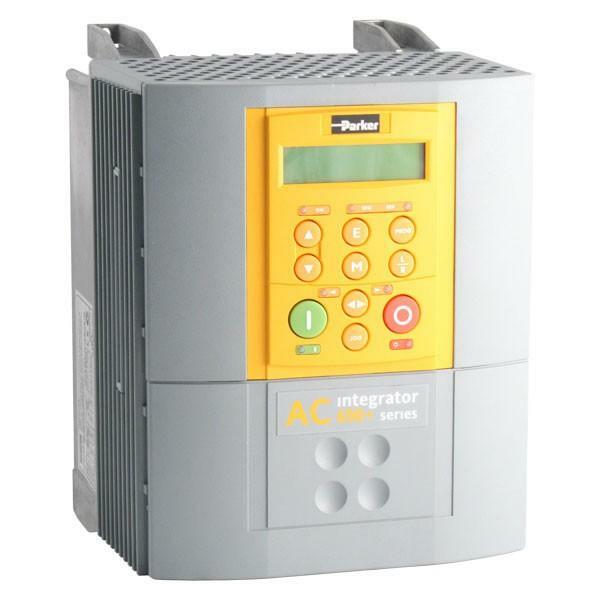 A compact design with integrated IO, communication interfaces that meet the highest industry requirements and a range of powerful integrated technological functions make this controller an integral part of a comprehensive automation solution. The CPU provides a PROFINET port for communication over a PROFINET network. 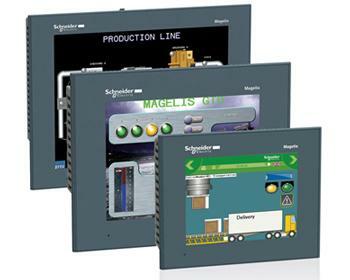 Additional modules are available for communicating over PROFIBUS, GPRS, RS485 or RS232 networks. The CPU combines a microprocessor, an integrated power supply, input and output circuits, built-in PROFINET, high-speed motion control I/O, and on-board analog inputs in a compact housing to create a powerful controller. Areas of application: Machine Controls, Material Handling, Operational systems, Building Automation etc. Rx3i is a powerful, modular Programmable Automation Controller with a focus on high availability. Development, commissioning, and maintenance is performed using Proficy Machine Edition - providing a single environment for discrete and process applications. It is a Powerful PLC with 4 MB program memory, 7 instructions/milliseconds, 128 MB file storage (recipes , tracking etc) and Unity based programming. 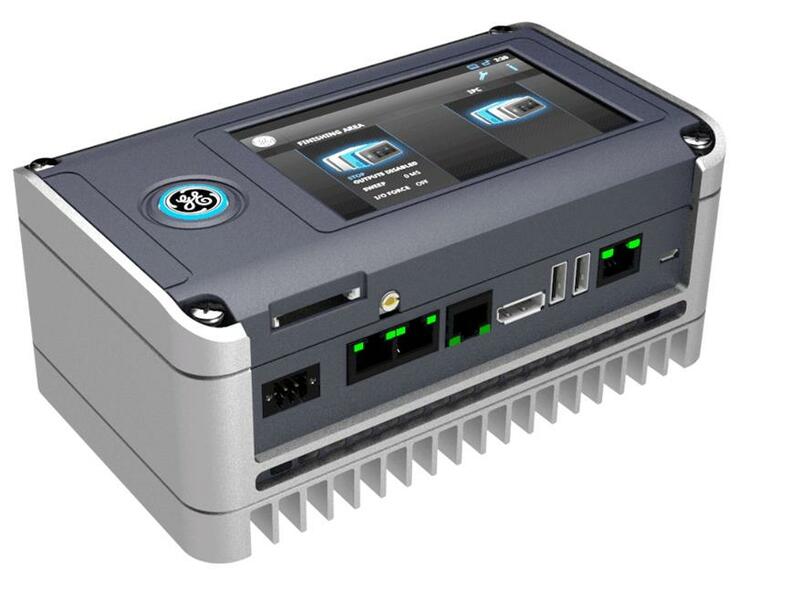 It has up to 3 Ethernet networks, 1 CAN Open, 4 ASI and 37 Modbus buses, Standard USB programming port, Embedded Web server and File transfer by ftp. Numerous built-in ports (ISB port, Ethernet TCP/IP port with Web server, Modbus Plus and at least one Modbus serial port) on the front panel. 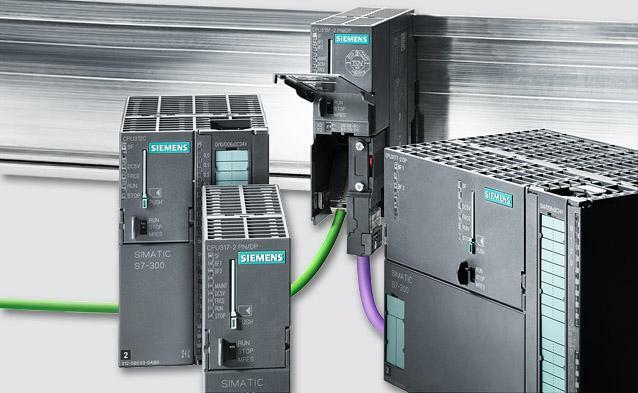 SINAMICS S120 modular motion control drives are designed for high performance drive applications in mechanical and systems engineering which offers AC/AC single-motor drives and coordinated AC/DC drives for multi-axis applications. 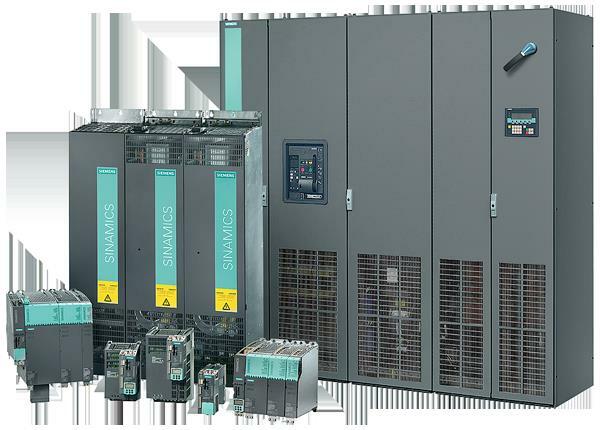 With Siemens high performance drive capabilities, you get a range of coordinated components and functions as a complete motion control drives package. 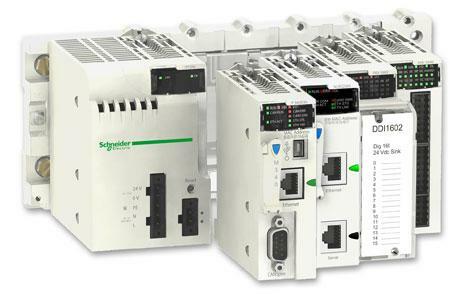 The motion control drives include high-performance single drives and coordinated drives (multiple-axis applications) with vector or servo functionalities hat allow implementation of customized high performance drive solutions. Supports interfaces for PROFINET and PROFIBUS, profiles include PROFIdrive, PROFIsafe, PROFIenergy also the Coupling with third-party systems via USS / Modbus RTU, BacNet MS / TP, EtherNet/ IP. Applications: Whether pumping, ventilating, compressing, moving or processing, automotive, textile and packaging industries. SINAMICS DCM - stands for the strengths of this new generation. It combines the advantages of its predecessor - the SIMOREG DC-MASTER - with the advantages of the SINAMICS family. 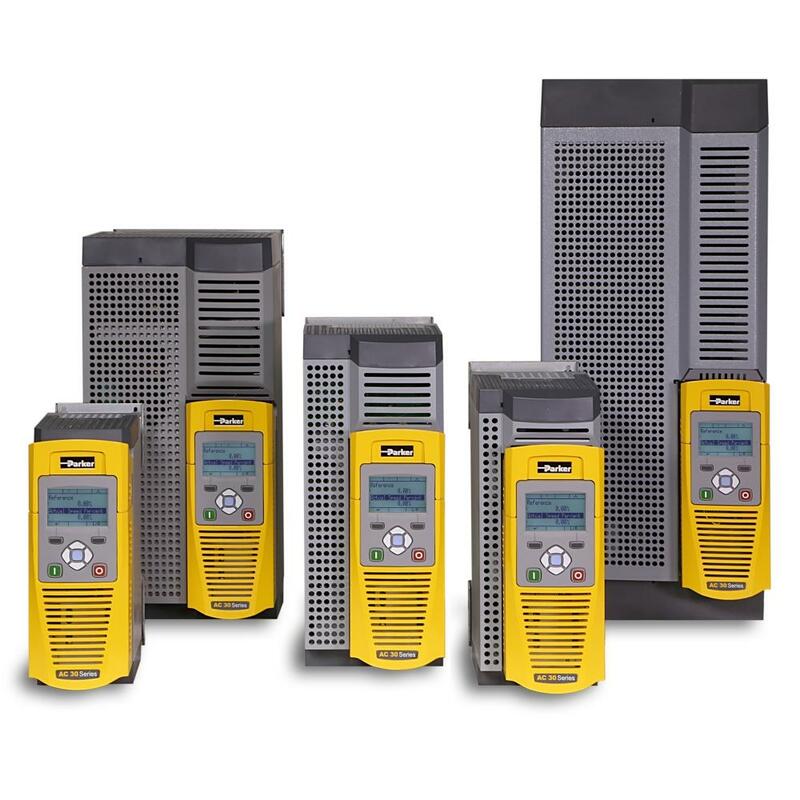 The AC30 variable speed drive range has been designed for simple open-loop pumps and fans through to closed-loop process line applications. It’s flexible and highly modular construction enables a wide range of communications and I/O modules to be easily added as required. AC30 also complies with RoHS substance restrictions in accordance with EC Directive 2011/65/EU. Multiple PID control loops can be programmed to monitor process variables and adjust the speed of the motor accordingly to achieve the required variable setpoint. 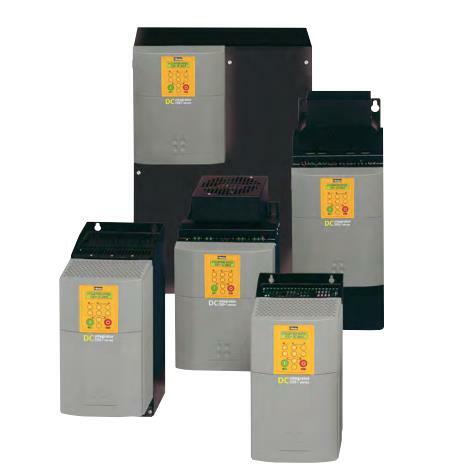 The AC10 variable speed compact drive is a simple, reliable and economical solution to every-day motor control applications requiring speed or torque control within the power range of 0.2kW to 180kW. 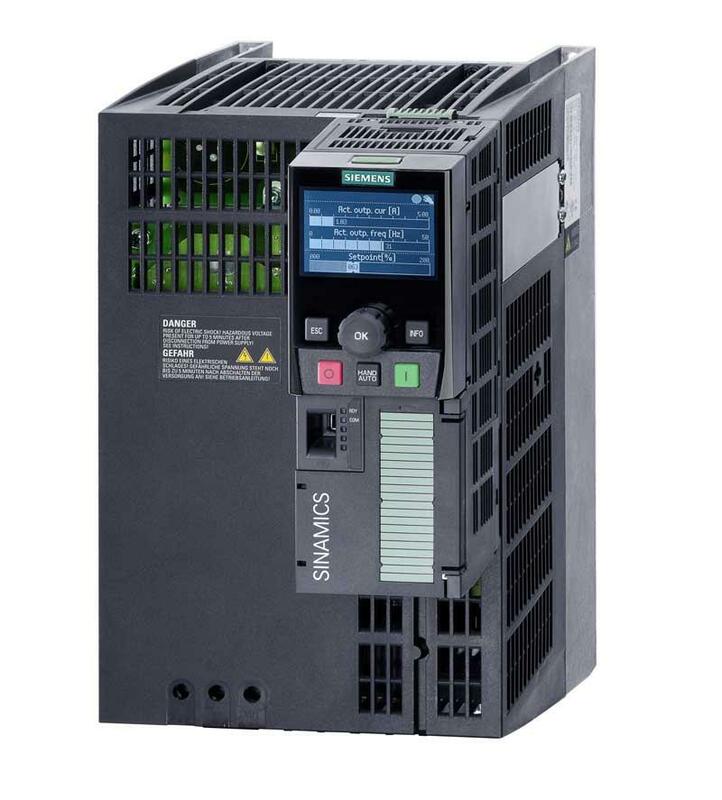 Having compact dimensions and features normally only associated with higher specification AC drives, including, sensorless vector mode, output frequency up to 590 Hz, 3 phase 400VAC supplies in all 5 frame sizes and a full 150 % overload at 0.5 Hz for 1 minute, the AC10 provides an optimised solution for OEM machine builders who are looking for a compact, cost-effective, energy saving variable speed ac drive without compromising on performance. AC10 drives are designed to reduce the time and effort required to install, setup and commission through its easy to use integrated keypad. Minimal wiring requirements and two easily accessed terminal rails make AC10 fast and simple to install, having you up and running in no time at all. AC10 drives come complete with an ergonomic operator keypad as standard, featuring 4 LED drive status indicators, a 4 digit 7 segment LED display and a tactile membrane style keypad. 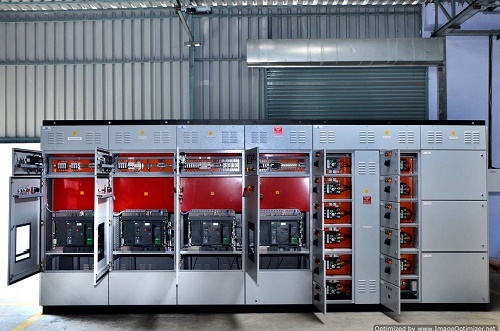 These Drives are microprocessor based 3-phase drives used to control the speed of standard 3-phase induction motors. An extensive range of configuration options are available to the user. A menu structure controlled using the man-machine interface (MMI) allows access to various options and adjustable parameters. 120 – 480 VAC power input range with Continuous current output from 2.5 A (rms) to 155 A (rms). SSI encoder as a source for gearing, cam shapes and external position measurement. Fully programmable IEC61131-3 single-axis drive/controller and virtual master. 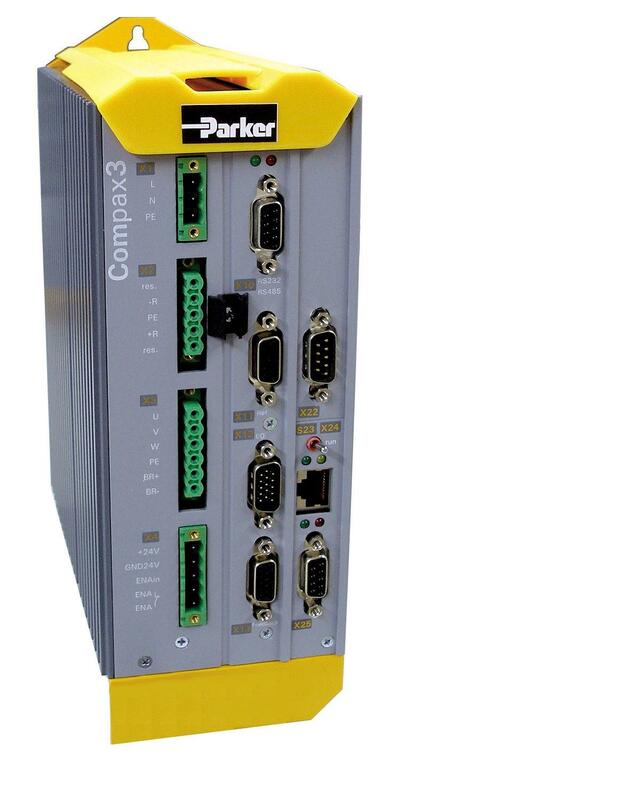 Compax3 products are easily configurable via RS232/485 using Parker’s C3 ServoManager™ software running on a PC or by utilizing the optional BDM keypad interface module. Compax3 Software is a User-friendly, wizard-based drive configuration tool with navigation tree. It is an optimization tool with Numerical and graphical status and error displays, Four-channel oscilloscope with ASCII and CSV export capability and input simulation. It also has IEC Debugger and Cam Designer. The 590 drive controls the dc motor with the use of Control Loops - an inner Current Loop and an outer Speed Loop. The Parker 590 Integrator series of highly advanced DC drives meets the demands of the most complex motor control applications. Extensive application software (including winder control as standard) together with Function Block Programming and configurable I/O creates a total drive system in a single module. Available in current ratings from 15 Amps to 2700 Amps. DRV version available from 15 to 165 Amps. 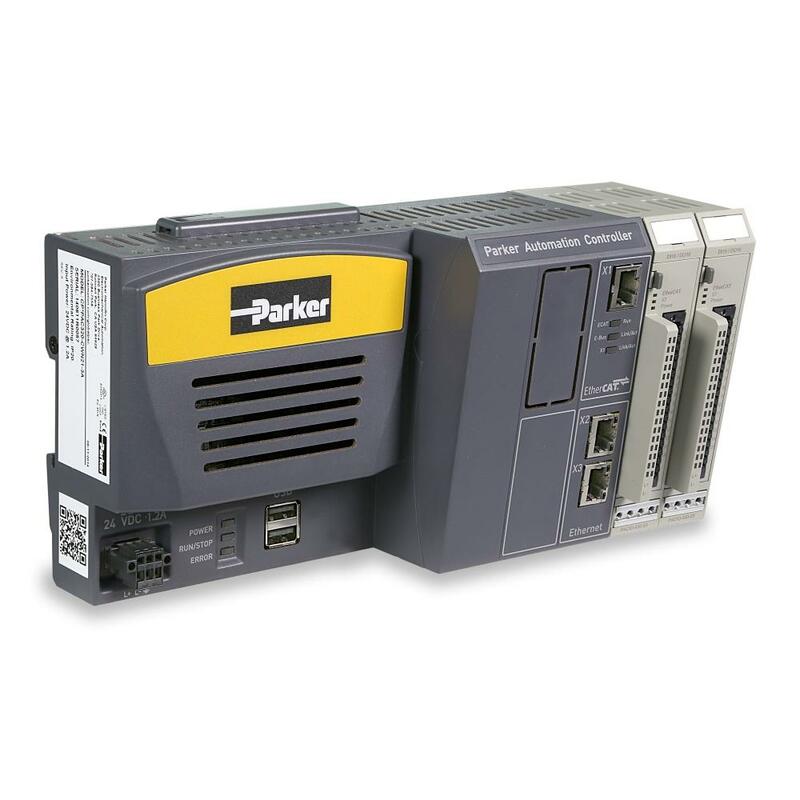 Designed for the global machine market, the Parker Automation Controller (PAC) combines advanced logic, signal handling, multi-axis motion (camming, gearing, robotics and CNC), easily mountable din rail solution, IEC61131 programming and visualization into one performance-driven solution. 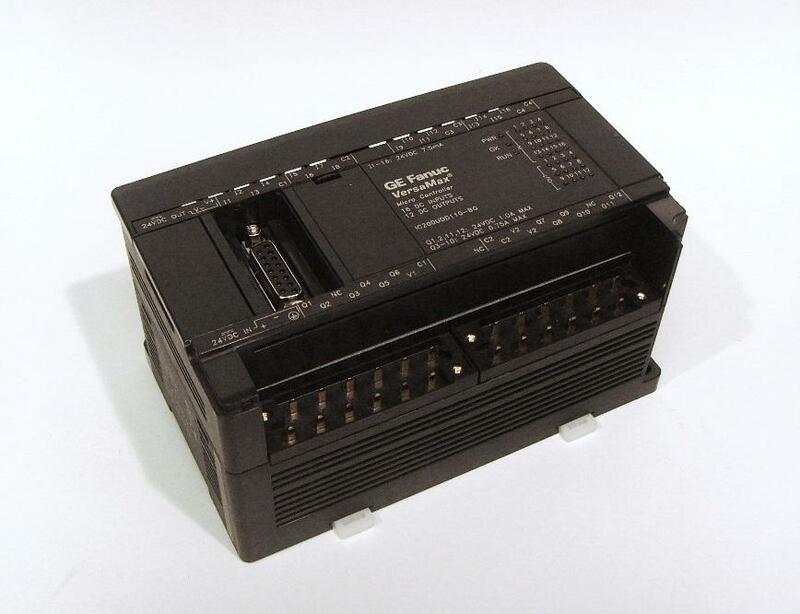 This programmable automation controller comes equipped with a native, uninterrupted EtherCAT bus for high-speed I/O and motion control, a modular interface slot for 3rd Party device communication, standard Ethernet and USB ports plus onboard SD program storage. 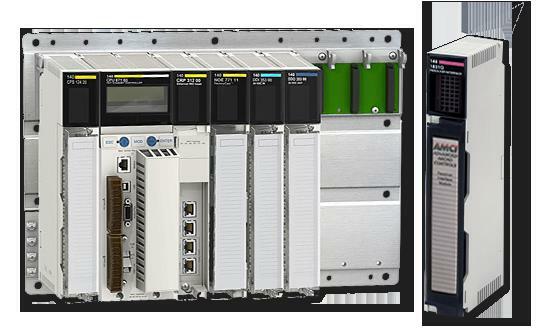 Programmed with the Parker Automation Manager software, OEMs can produce efficient, high-performance control systems based on the IEC 61131-3 and PLCopen Motion standards. The motion controller's solid state design is precisely engineered for demanding industrial environments. The powerful, yet energy efficient Intel Atom N2600 processor allows for fanless operation while supporting dual-cores, 64-bit instructions, and Hyperthreading technology. 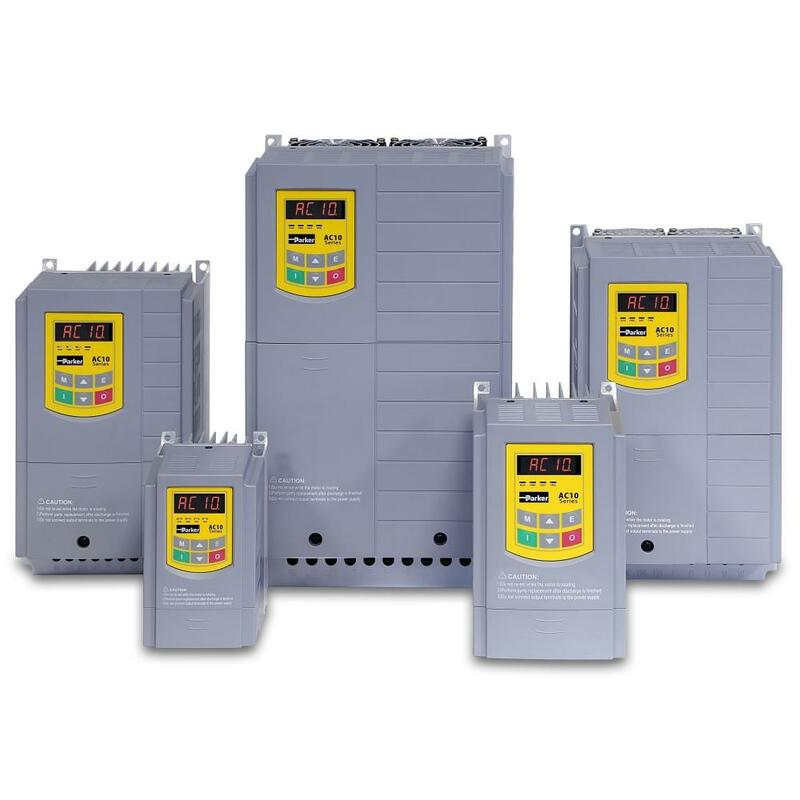 Coupled with the removable, solid state SD storage media, all moving parts have been eliminated for a robust, industrial grade control solution. The PAC I/O System comprises a variety of modules for digital, analog and temperature signals as well as communication interfaces. 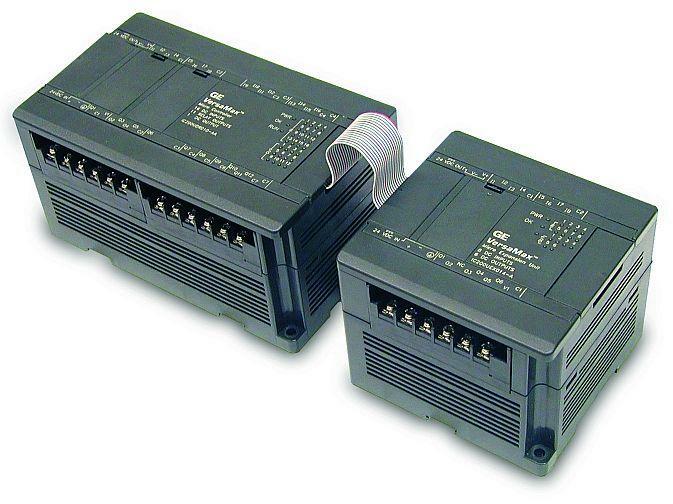 The modules connect directly to the controller via the built-in EtherCAT bus for local architectures and are extended to remote locations via the extender and bus coupler modules, thus supporting both local and distributed I/O architectures. With increase in line length and speed of modern continuous strip finishing lines, the lateral movement of strip becomes severe which necessitates of intermediate guiding system. The primary purpose of intermediate guiding is to maintain the strip approximately in the center of the line. Unlike the Intermediate guiding system, in Uncoiler & Recoiler guiding system, the strip is corrected by the position error & rather the Uncoiler & Recoiler is continuously aligned to maintain the constant position of the strip below the sensor. End pivot guide and center pivot guide. Today all the automatic guide control systems are based on the closed loop systems with very good quality electronic signal processor, valve drivers and a feedback system from the field. Unlike the Intermediate guiding system, in recoiler guiding system, the strip is not corrected by the position error & rather the recoiler is continuously aligned to the position of the strip. 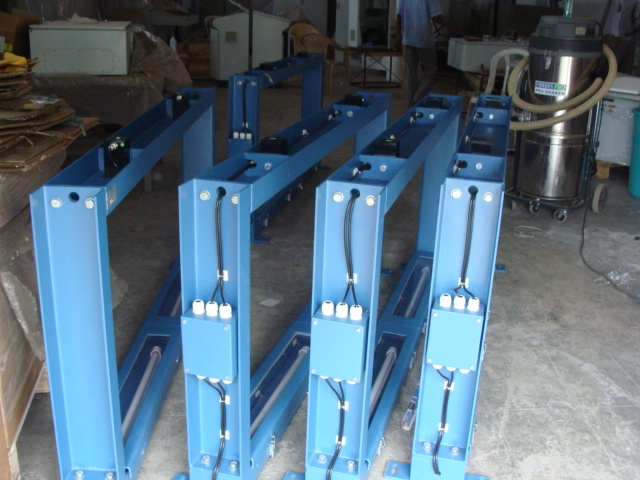 For obtaining better Recoiler guiding performance, the Recoiler must follow in perfect unison with sensor signal. The sensor has to be located just after the deflector roll before the Recoiler. The sufficient wrap angle of the strip on the deflector roll shall avoid lateral slippage of the strip as the Recoiler slides in its base. For a Recoiler guiding application the Recoiler has to move in synchronism & the shifting is proportional to the lateral shift of the strip. The synchronism of recoiler & sensor is achieved in two ways. 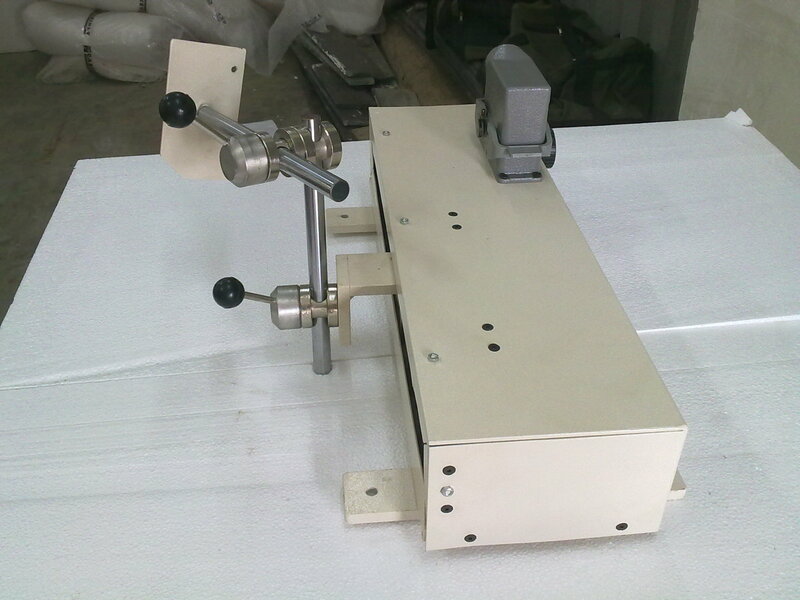 The sensor is coupled with the sliding recoiler frame by using a long steel arm. Depending on the distance between the last fixed idle roller and the mandrel, length of the steel arm is decided. In this type of system the shift in the strip position will create a variation of sensor signal. The error generated will move the recoiler to a new position of strip & the error signal will become null only when the sensor connected to the recoiler gets covered by strip again. This limits the system functioning gain to a lower value & hence there is a limitation of using this method for higher line speeds. In this method of coupling the sensor is electronically coupled with recoiler by comparing the feedback signals of both. The sensor is fitted on a motorized positioner. Unlike the Intermediate guiding system, in uncoiler guiding system, the strip is corrected by the position error & rather the uncoiler is continuously aligned to maintain the constant position of the strip below the sensor. For obtaining better uncoiler guiding performance, the uncoiler must follow in perfect unison with sensor signal. The sensor to be located just sfter the deflector roll after the uncoiler. The sufficient wrap angle of the strip on the deflector roll shall avoid lateral slippage of the strip as the uncoiler slides in its base. For a uncoiler guiding application the uncoiler has to move in synchronism & the shifting is proportional to the lateral shift of the strip. The synchronism of uncoiler & sensor signal is achieved as follows. . In this method of coupling the sensor is electronically locked with the strip edge. This locking is done either by seeking the sensor to the edge of the sheet, or by locating the sensor at a particular distance from the line center. This can be done by entering the distance through the operator interface. Even the scrap width can be inserted in the operator interface. The system can be operated in AUTO mode in two ways. A. The strip position is corrected with reference to trimmer cutter position . In this case the operator will feed the value of desired output strip width in mm and scrap width in mm on drive side or operator side depending on which edge the sensor is sensing. So once the position command is given to the sensor it will position itself at a distance say X mm from line center , where X= (o/p strip width ) / 2 + scrap width. Now the system will control uncoiler position accordingly to control strip position at cutter. B. The strip position is maintained wherever fed by the operator. In this case the operator will feed the strip and will give seek command to the sensor. The sensor will find the strip edge and will get locked over there and will control the uncoiler to maintain the same strip position. 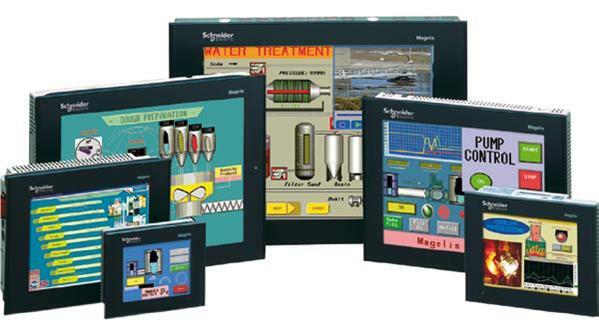 SIMATIC WinCC® is a scalable process visualization system (SCADA) that is graduated by price and performance, with efficient functions for controlling automated processes. 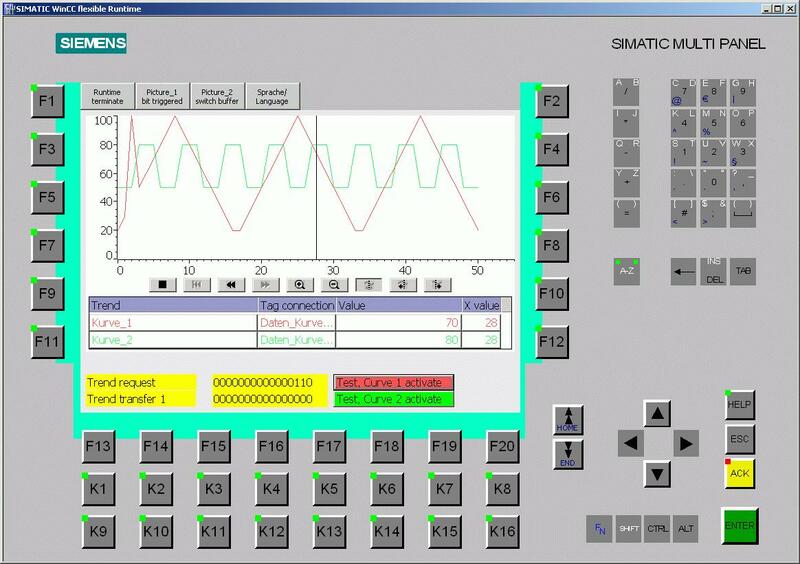 With SIMATIC WinCC, “perfect process visualization“ stands for complete operating and monitoring functionality under Windows for all industry segments – ranging from simple single-user systems through to distributed multi-user systems with redundant servers and the structure of a cross-site solution including Web clients. One of the special features of WinCC is its total openness. 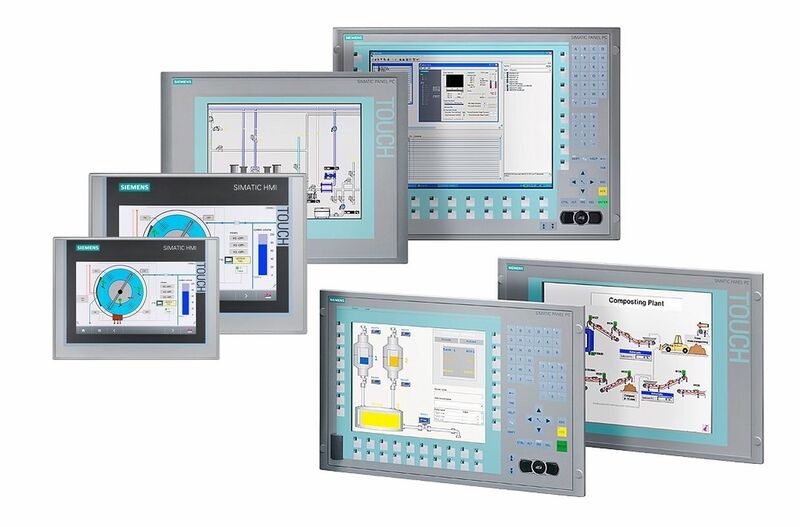 It can be readily used in combination with standard and user programs, creating HMI solutions which precisely meet practical requirements. GE CIMPLICITY provides superior reliability and availability for the most demanding industrial applications— maximizing uptime and continuous control for increased productivity and profitability. Powerful APIs allow you to develop your own direct interfaces with the data and alarm information collected, managed, and maintained by GE CIMPLICITY. This design provides seamless integration of custom or third-party applications. 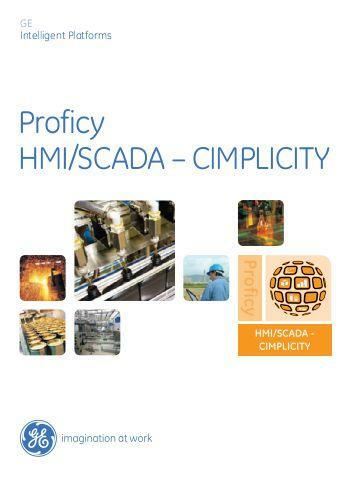 GE CIMPLICITY delivers reliability, high availability and performance. It is tightly synchronized with the Unity PLCs applications in order to provide a consistent object view of the system. 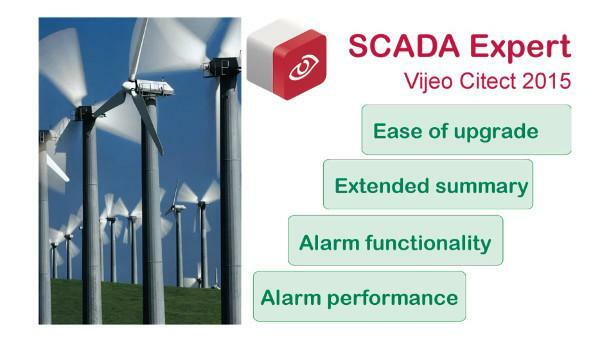 An intuitive visualisation tool for analyzing alarms and trends data that sits in the Vijeo Citect system itself delivers actionable insight to the operator faster. Application: Water and Waste Water, Food & Beverages, Mining and Minerals, Oil & Gas, Metals, Power. TFT 65 Kcolors for all screen sizes to allow good monitor conditions for operators. Magelis GTO operating now up to 55°C for hot environment. Plausibility test: faults like tacked welding points or notches will be detected & do not influence the measuring result. 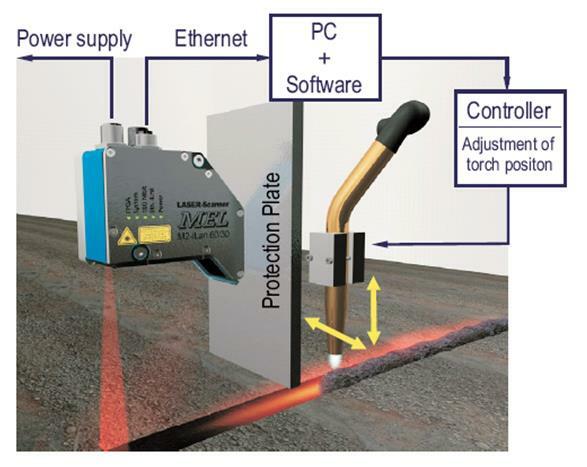 Position & surface quality of the welded joints are controlled at weld seam inspection. Holes & pores are certainly detected. 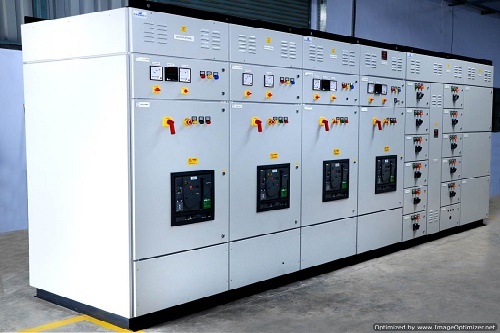 Cabinet a UL certified leading manufacturer of quality panels and automation Solution Provider. The company is also engaged in design, development & manufacturing of Edge Guide & Center Guide Controller for Steel & Paper Plant. Copyrights © 2017 Cabinet India. All rights reserved.